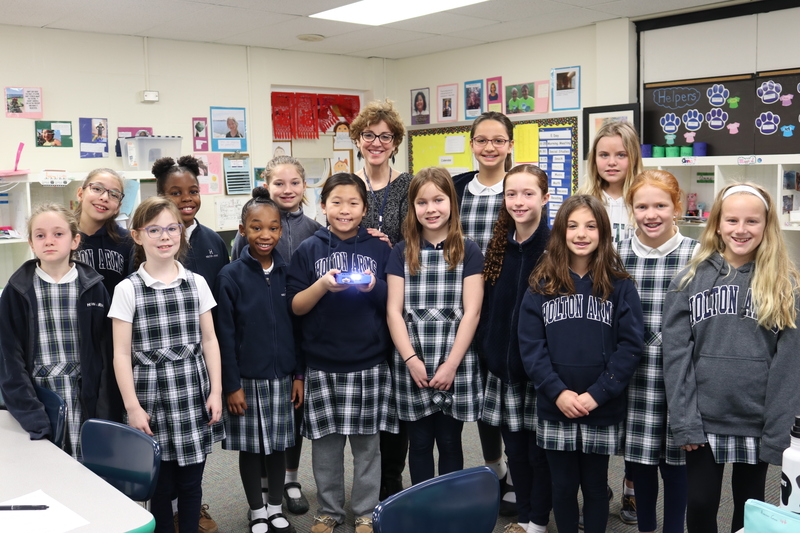 Margo Tintle’s students at Holton-Arms School in Maryland collaborated with partner students in Ghana and Zimbabwe in LUV’s Global Inventors course. Margo Tintle and her students thoroughly enjoyed their global collaboration experience via Level Up Villages Global Inventors course. Students and their partners in Ghana and Zimbabwe exhibited great creativity in the designing their solar-powered flashlights. And what magic when we were able to chat live with our global partners! We all laughed as we taught them hand gestures we use to signify, “Me, too! I agree with you!” and as our partners taught us how to say simple phrases in their dialects. The live chat with partner students was an especially exciting moment for the class. See the school’s article about this experience here. Margo Tintle: Margo Tintle is a grade 4 Global Education teacher at the Holton-Arms School, a college-preparatory school for girls in grades 3-12. Margo has taught for over 25 years in both public and independent schools. She has a B.S. in Special Education/Early Childhood from the University of Maryland, College Park and a M.S.A. in Educational Leadership from Trinity University, Washington. She is an avid cyclist and a “dog mom” for senior and special needs golden retrievers.